The concerto offers a kind of unique excitement no other instrumental music can match. 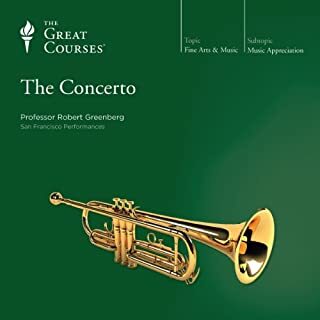 Where a symphony enthralls us with its thematic variations and development, a concerto gives us human drama-the exhilaration of a soloist or group of soloists ringing forth against the mass of the orchestra.In 24 musically rich lectures, Professor Greenberg provides a guided tour of the concerto, from its conception as a child of Renaissance ideals, through its maturation in the Classical age, its metamorphosis in the Romantic era, and its radical transformation in the 20th century and beyond. Better than "How to Listen to...Great Music!" After finishing this course, I have taken to googling the phrase "favorite concerto" and giving a listen to a broad variety of composers and styles. The lecturer has infectious enthusiasm for his subject, and in listening I gained both knowledge about and appreciation for this musical form. Thank you! Highly recommended! This tale is about a boy named Yipson Minor who ends up on the island of Evolone Hills with his father, mother, and sister. He doesn't originate from there but was given a push by a divine king for a divine purpose. This book was not like any other I've ever read. It is a fascinating blend of whimsy, gentle humor, and occasional adventure that feels almost incidental to the book's true purpose. 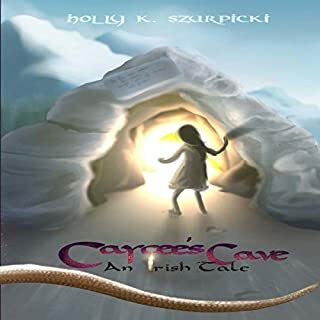 Its narrator describes other characters' personalities and actions with the same straightforward simplicity as he uses to describe strange creatures and odd customs. As a listener I really didn't know what to expect next from this story. It is truly unique and extremely creative. The author is obviously Christian, and the book comes across as a morality tale, demonstrating how a faith-filled life view allows the book's narrator to pass through and overcome a variety of difficult circumstances. Benjamin Fife delivers a performance that complements the author's unique storytelling voice. His ability to affect an Irish accent with consistency is great, and the songs were a nice touch. A very enjoyable listen!